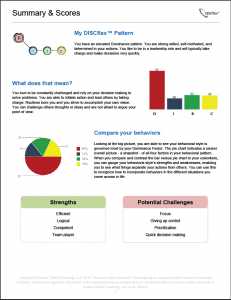 We have assessments, eLearning, and workshops designed to help individuals and groups improve how they provide feedback and coaching. We specialize in customizing our approach to our clients and would love to learn more about you and your organization. This way we can tailor our solution to your needs. Check out the materials below and let us know what you think. 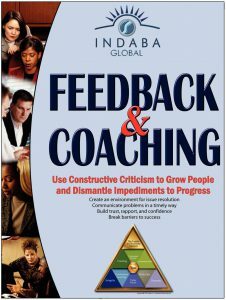 The Feedback and Coaching Program teaches employees and management how to deliver feedback effectively, and even more important, sets the stage for maintaining an environment where continuous improvement through effective feedback is the norm. The sessions instruct management on how to give proper, continuous, objective, non-judgmental performance-based feedback to employees for optimal results using psychological models and the Principles of Noble Intent. Then, the course instructs management how to transition into coaching after feedback has been delivered. Giving people objective, positively oriented, non-judgmental performance-based feedback plays an intrinsic role in maintaining a keen focus on improving an employee’s skills, while keeping the company’s bottom line healthy. Feedback is an economically sound business practice, perhaps providing the best return on investment for a manager’s time. Witness first hand, the amazing – often immediate -- effect that clear, constructive, and timely feedback can have on employees by implementing these lessons into your organization. Feedback allows the person receiving it to become aware of a problem, situation, or performance-based issue and allows them to address the changes necessary to take corrective action. In the competitive, fast paced world we face today, we cannot afford to waste time or expend effort to fix problems caused by the misalignment of responsibilities, misunderstanding of task assignments, the miscommunication of objectives, failure to appropriately address authority guidelines, or the mismatch of a person’s skills to their task assignments. Consistent feedback is the best way to create an environment where process improvement and striving for the best results possible is the norm. Effective feedback helps an employee begin, stop, continue, or change a behavior that affects performance or their career objectives. Consistent feedback avoids time lags in the feedback loop, which will save the employee from repeating behavior that is not linked firmly into expectations. Timely feedback keeps stress levels low and employee productivity high. You don’t want insignificant issues to fester until they become major issues that will affect productivity and results. Most important, when issues fester, resentment and tension build - perhaps destroying trust or relationships. Consistently delivering feedback throughout an organization allows teams and departments to develop a trusting environment. Studies show that a high level of trust and good communication are linked to the bottom line. Feedback and coaching makes employees aware of their manager’s expectations and of the company’s goals, values, and objectives. The feedback and accountability process provides a tool by which employees can measure their progress. As feedback becomes part of the culture it motivates employees toward a higher standard. Delivering feedback helps people and teams work through obstacles that are blocking achievement. By encouraging feedback in a timely fashion, you give people the opportunity to settle issues, resolve conflict, and address problematic behavior before it infects the entire group.